When your kids are little, it’s so hard to know when to let them make a decision; when to nudge them push through challenges that they’re already resisting – because things are getting hard and they’re scared – and when to let them just walk away. The conflict arises often when pre-paid extracurricular classes/lessons are involved. 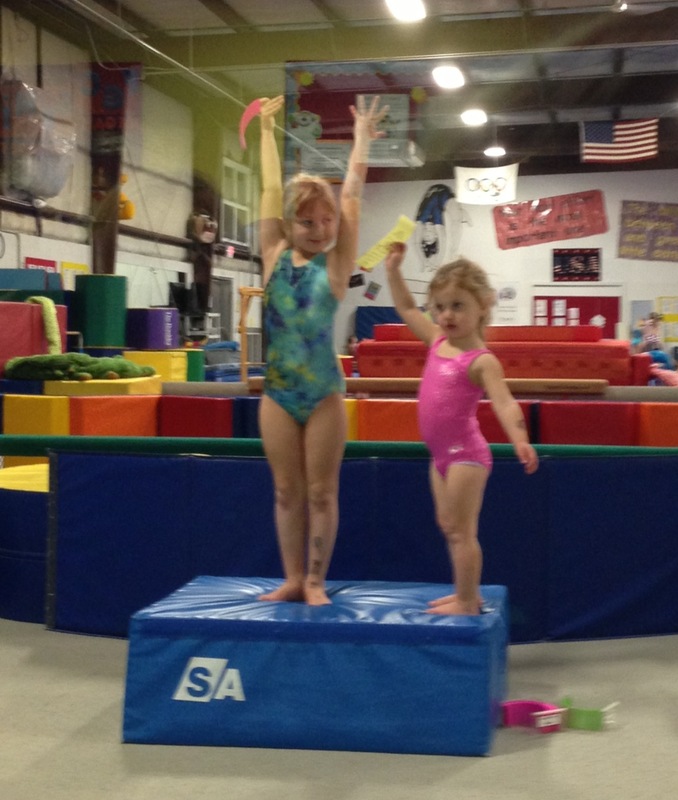 Last fall, we signed Lily up for a gymnastics class – largely because her best friend was in it, and the girls wanted to take the class together. Lily’s a few months older than her friend, though; so when spring rolled around, the girls’ teacher recommended Lily for the 6-9 year olds’ class, but Lily’s friend would probably not yet be moving forward. Sometimes your not-quite-3 year old, still awake an hour past her bedtime, briefly stops crying – specifically, about how you forgot to grab Snakey (a giant, purple-and-pink stuffed snake) from her preschool cubby – to make you feel just a little bit more guilty. Because, sweetie, sometimes, the crushing sense that all you do is never, ever enough drains your patience reserves. Like, you finally arrive home from Costco with a little time to spare, and you spend it bringing your purchases inside; shutting windows and turning on the air so everyone’s comfortable when they arrive home; moving the laundry – including the sheets and mattress cover your 6 year old peed on the night before – into the dryer; and ordering your daughters’ dinner.